As 2016 changes into 2017, we bid goodbye to the year which marked the bicentenary of Charlotte Brontë’s birth – it was a great year for Brontë lovers, and for me particularly as the way my Anne Brontë biography was beyond my wildest dreams. Just because 2016 is over, however, doesn’t mean that the Brontë celebrations are over. In fact we’re just over a fifth of the way into a period that will mark the two hundredth birthdays of all the writing Brontë sisters (Emily’s celebration is in 2018, whilst Anne Brontë’s will be in 2020). So what about 2017 then? 2017 is the year of Branwell. Patrick Branwell Brontë was born on June 26th 1817, the fourth Brontë child after Maria, Elizabeth and Charlotte Brontë. He was always known as Branwell by his family – it had been his mother’s maiden name, and presumably to distinguish him from his father who was also called Patrick. Branwell is a very complex character – was he evil, wicked? I don’t think so, although he certainly did terrible things (begging money from his family to save him from being thrown into jail, threatening that he would kill his father overnight, setting his bedroom on fire), but he was a man sinned against as well as sinning. He lost his two eldest sisters and his mother at an early age, and I think this contributed to mental problems that would throw a black cloud of his whole life, and that would send him into the horrific depths of drink and drug addiction. We have to see both sides of Branwell: and that’s certainly something his youngest sister Anne did. Whilst dismaying of some of his actions, his affair with Mrs Robinson is believed to be the event that led to Anne leaving her governess position at Thorp Green Hall after more than five years, she remembered his kindnesses to her as a child, and believed that he was capable of redemption. If he was, it didn’t come in this life, as he descended into a personal hell that would also impact upon his family. The books created by Anne, Charlotte and Emily Brontë seem even more incredible when you consider how awful Branwell was making life at the Parsonage at the time he was writing them. 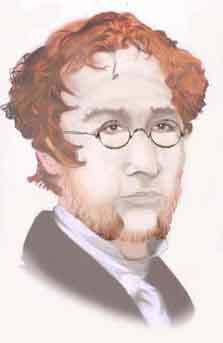 Nevertheless, Branwell Brontë was a boy and man who had great potential. 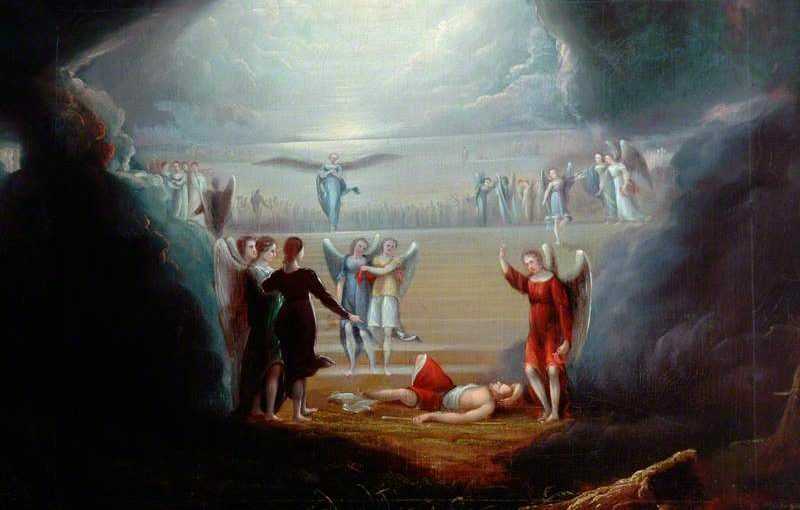 If he had applied himself, perhaps he could have been a painter, writer or musician of some note – his painting ‘Jacob’s Dream’ adorns this post. We can’t however pretend that Branwell had the genius of his sisters, but we do well to remember the impact he had upon them and their work. 2017 will see Branwell brought to the fore and examined in greater detail, and I know that Branwell related events are planned throughout the year in both Haworth and Thornton, his Bradford birthplace. In this Anne Brontë blog, we’ll also look at key events in Branwell’s life throughout the year, and at his paintings and sketches – some of which hold keys to what he was and how he felt. 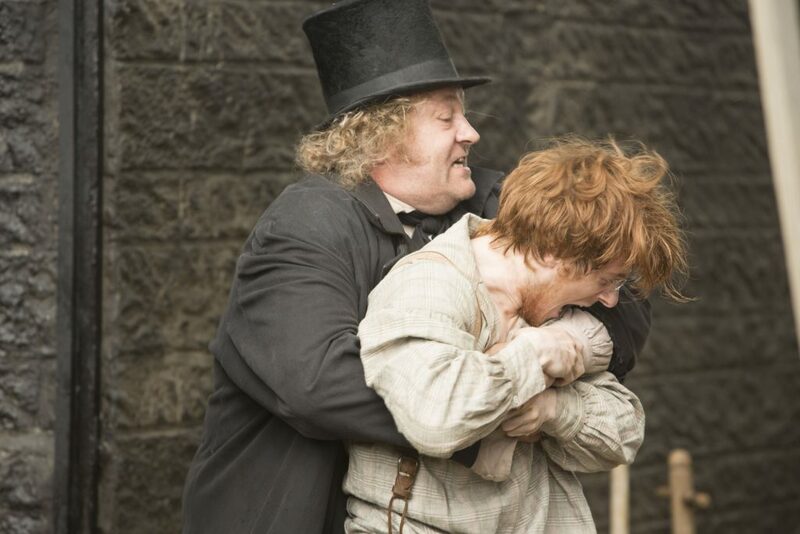 Branwell was also prominent in the new BBC drama To Walk Invisible, which I watched with joy earlier in the week. I think overall it was very well done, although I think the recurring use of the ‘f-word’ seemed anachronistic, and I found it very odd that no mention of Charlotte’s marriage or death was made at the end. Yes, some sections were highly dramatised and the production may have employed some artistic license – but this was a drama after all, so I have no problem with that. I thought the three actresses playing the sisters were all excellent, especially Chloe Pirrie as Emily, and I especially liked the way they depicted the close bond between Emily and Anne Brontë. I look forward to watching it again and again, and I really liked the ending as well (although I know that some found it odd). In my opinion it needed another hour, or maybe two episodes rather than one, but it was certainly a drama that lit up the Christmas week. Happy New Year and may 2017 make your Brontë dreams come true!